Pittsburg Community Schools USD 250 reminds people to practice safety around school buses and to Stop on RED. A 30-Day traffic study shows Southeast Kansas drivers ignored school bus stop sign laws 503 times, posing a risk to students. That is the third-highest rate of offenses behind South Central and Northeast Kansas districts. A majority of those violations came from drivers passing school buses on the side of a bus' stop sign and from the front. About 270 of the 503 violations were made in the afternoon; 198 were in the morning. There were 9,967 violations in the state with 7,692 of them happening in the Wichita area. "It is concerning that people are not stopping for school bus stop signs and putting our students at risk of being hurt," Vince Johnston, USD 250 Transportation Director said. 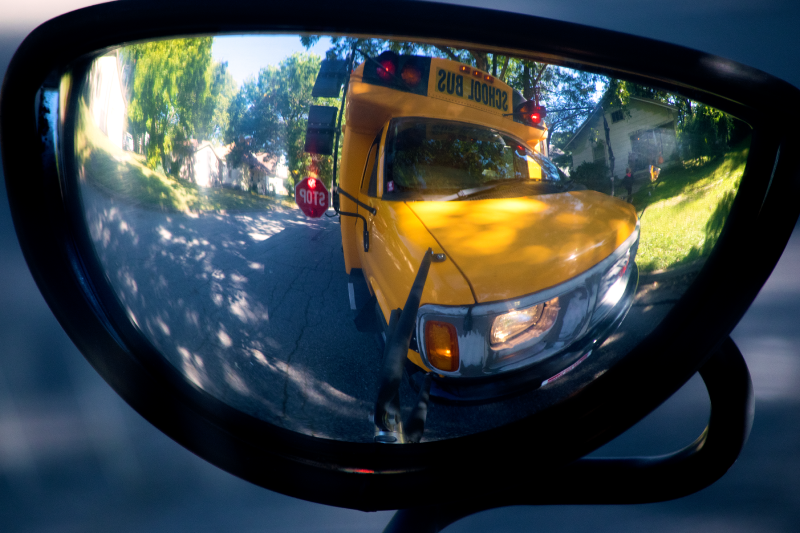 "During this week, National School Bus Safety Week, and always, we urge drivers to be aware of school buses and their warning signals as we carry students to and from school." In Southeast Kansas, surveys came from ANW Education Co-op, Caney Valley, Chanute, Fort Scott, Garnett, Girard, Labette County, Neodesha, North Lyon County, and Pittsburg school districts. The study was conducted by fifty-seven of the 286 school districts in Kansas. Data points were self-reported by districts from January 23, 2017, through March 3, 2017. To see the survey results from across the state, click here.